That’s a dog therapist ‘therapist for dogs’ (a Use N + N compound); see discussion in my 9/22 posting “therapist dog, dog therapist”. 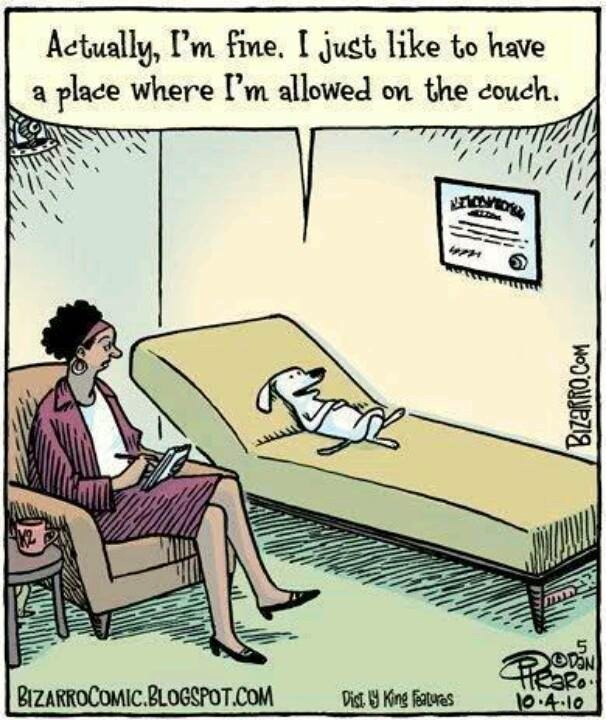 In this case, for a patient who’s had the canine equivalent of the common nightmare of being naked in public (especially in front of a class or while giving a speech). Yes, the dog in #2 has no collar. That could be for several reasons. 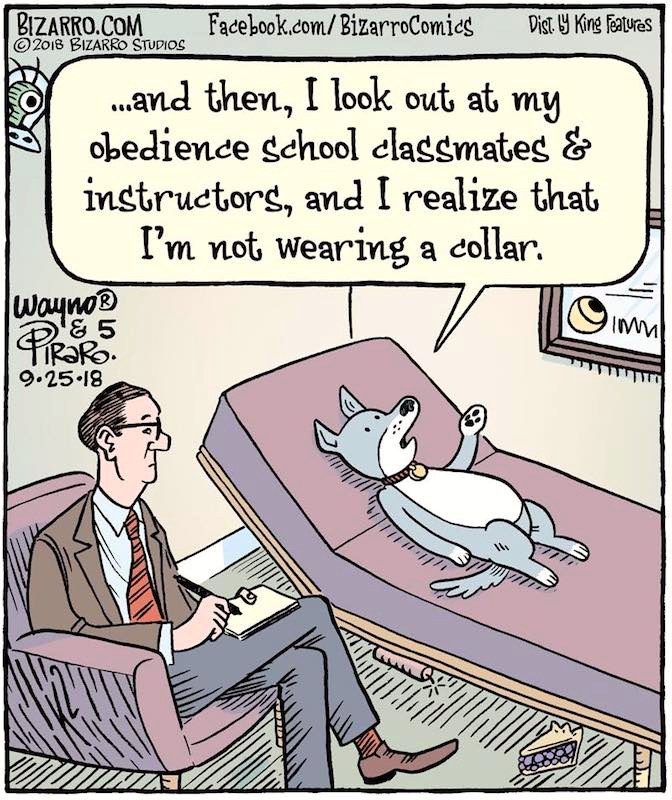 It could just be that Piraro didn’t think collars were relevant to the point of this cartoon, so he drew a minimal dog. It could be that the dog in #2 is exploring its wild side, sans collar. Or the dog in #2 could be enjoying going without a collar in the privacy of indoors. It certainly doesn’t look at all feral — it’s small and cute, while the dog in #1 has a tinge of the wolf in it. This entry was posted on September 25, 2018 at 8:15 am and is filed under Comic conventions, Compounds, Linguistics in the comics, Morphology, Semantics, Sociocultural conventions. You can follow any responses to this entry through the RSS 2.0 feed. You can leave a response, or trackback from your own site.